BATON ROUGE — For nearly 50 years, Guaranty Broadcasting — now Guaranty Media Ventures — has been a force in Baton Rouge broadcasting, first as the owner of WAFB-TV (until 1988) and now as owner of five local radio stations. Long-time CEO George Foster, Jr., now in his late 80’s and officially retired, still comes to work at the company’s headquarters on Government Street — the old Baton Rouge General Hospital. Mr. Foster’s son Flynn heads up the media properties, as well as Guaranty Income Life. Today, Guaranty and the Fosters are deeply involved in the Capital Radio Wars. With the country music format seizing a growing share of radio listenership, Guaranty made the unusual move of devoting two of its five stations to country music — The Tiger 100.7 and Country Legends 104.9. While the company could be charged with “competing with yourself,” market manager Gordy Rush sees it differently. The stations are sold to advertisers as a combination buy, allowing advertisers to reach the entire combined audience. Both stations feature live hosts and lots of interactivity with listeners. But The Tiger 100.7 runs popular current hits and reaches a large audience of listeners 18-49, while Country Legends 104.9 airs the best of country from the past and local artists. It reaches listeners in the 45-65 age category. “The stations are like bookends,” Rush said. So far, the strategy seems to be working. While WYNK is the top country station in the market, Rush has rating numbers that show his combined audience from The Tiger and Country Legends running neck and neck with WYNK. Guaranty’s operations manager, Dave Dunaway, was just named one of the top 25 program directors in the nation by Radio Ink magazine. For Dunaway, knowing what to play and when to play it is a science where mistakes can be very costly. Rush said the family values of country music and his country stations are a perfect fit for the Baton Rouge market. He is proud of some of the unique things the stations are doing. One prime example is Roland Doucet’s Swamp Pop Cafe from 11 to 1 p.m. weekdays on Country Legends. Roland is something of a legend himself, especially in Livingston and Ascension parishes, where his show is very popular. The show features South Louisiana artists and promotes local people and local events. 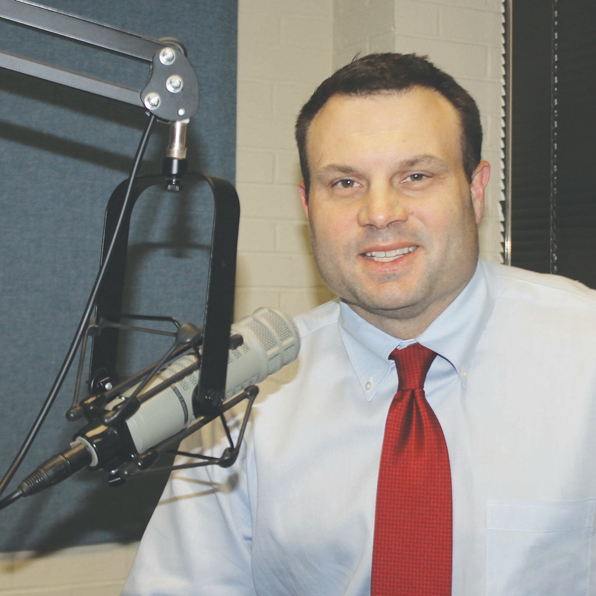 It also airs Saturdays from 6 a.m. to 12 noon and Sundays from 6 to 10 a.m.
Dunaway says local ownership allows the station to stay flexible and act immediately. Rush said there are three great country music stations in Baton Rouge and Guaranty looks forward to growing its share of the growing country market.